The St Vincent de Paul Society undertakes research into issues that have the potential to impact the lives of low-income people and families in our community. These reports develop conclusions and makes recommendations regarding any adverse impacts to government and other concerned authorities. 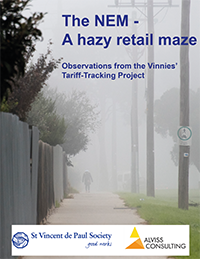 This report is the result of a comparison of the state by state-based analyses undertaken as part of the Tariff-Tracking project, as well as reflections on the public debate on energy market developments and reasons for price increases over the last year. This report explores changes to electricity and gas prices across Australia from July 2009 to July 2016, in order to assess the key drivers for price change in each jurisdiction. Furthermore, it compares changes to the consumption component of bills with changes to the fixed supply charge component. 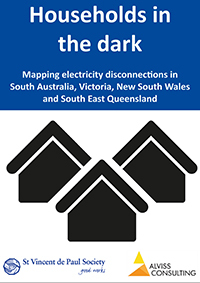 This project has analysed and mapped approximately 200,000 electricity disconnections for non-payment raised by AGL in South Australia, Victoria, New South Wales and South East Queensland between July 2012 and July 2015.
de Paul Society Victoria presented the Policy Challenges for the Energy Industry: Views from Key Stakeholders Forum. This Forum was held to discuss and explore the policy challenges in an increasingly diverse and changing energy market - this transformation challenges the traditional view and role of the energy retailer, energy networks, energy production and that of the consumers. 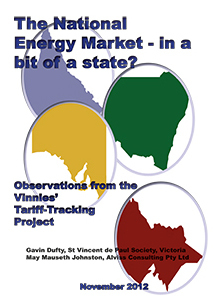 This report explores changes to electricity and gas prices across Australia from July 2009 to July 2015, as well as price changes occurring since the repeal of the carbon tax on 17 July 2014, in order to assess the key drivers for price change in each jurisdiction. 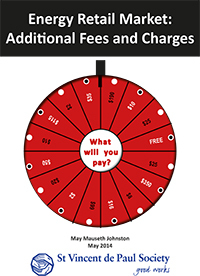 Furthermore, it compares changes to the consumption component of bills with changes to the fixed supply charge component. 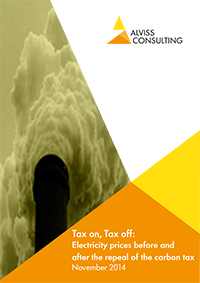 St Vincent de Paul Society Victoria (SVdP Society) welcomes this study into the impact of the repeal of the carbon tax on electricity prices across the National Electricity Market (NEM). St Vincent de Paul Society Victoria welcomes the Government's consultation on the Energy Green Paper. The Society has been a long-standing advocate for energy consumers in Victoria and nationally. The Society in Victoria has over 7,000 members and volunteers. Across Victoria our members see what poverty looks like in a highly developed nation. It is in this context that we are particularly concerned about the access to affordable essential services. 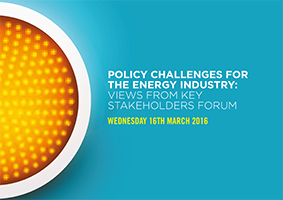 National Energy Market - Wrong Way, Go Back? 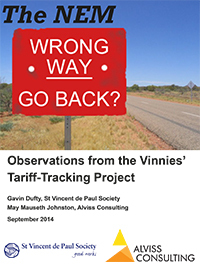 The St Vincent de Paul Society, in conjunction with Alviss Consulting, has been tracking changes to residential energy tariffs and reporting on household impacts since 2010. 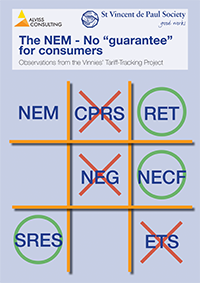 Initially the Tariff-Tracking project only covered Victoria but has since expanded to include New South Wales, Queensland, South Australia, Tasmania and the Australian Capital Territory. This project documents and analyses the application of fees and charges to energy retail contracts and assesses the impacts on residential consumers in NSW, Victoria, South Australia, Queensland, Tasmania and the ACT. 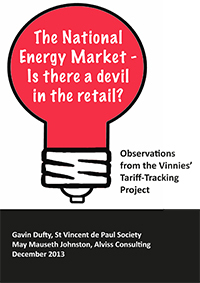 National Energy Market – Is there a devil in the retail? 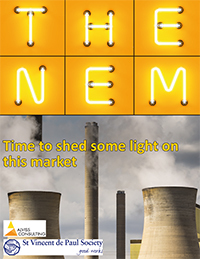 National Energy Market - In a bit of a state? 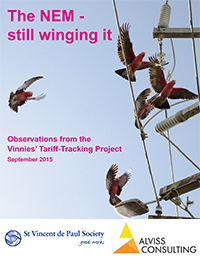 The St Vincent de Paul Society has been tracking changes to residential electricity and gas tariffs since 2010, with a view to documenting price increases, analysing market developments and informing the broader community about bill impacts and potential savings to be made. This project began in Victoria and has since been expanded to New South Wales, Queensland, South Australia, Tasmania and the Australian Capital Territory.